The Tamarind House is a large villa surrounded by gorgeous gardens and tropical views. The house is filled with intricate furniture, perfect for being enjoyed intimately or by large parties. A wonderful tamarind tree provides shade and cools the house during the day, and a private pool is available when you don’t want to make the short, five-minute drive to the beach. The villa includes a beautiful courtyard with banana plants that gives it the perfect exotic feel. The cottage, located separately, is like a small house in itself, and the rich, delightful decorations will please not only you, but any guest you might invite. Amazing views of the Piton Mountains! Tamarind House is located just off the Anse Chastanet Road about 1.5 miles from Soufriere and five minutes from Anse Chastanet beach. This exceptionally large house is constructed with local stone, high greenheart ceilings, and Barbados tile floors across its 8,850 sq. ft. frame. A staircase descending from the car park leads into a cool, circular courtyard filled with banana plants and tropical flowers. The impressive swimming pool below the Cottage faces uninterrupted views of the Pitons from the center of a long terrace surrounded by al fresco dining and lounging space. A tamarind tree grows from the deck and shades the house all day. There is also a professional-size tennis court with a Bioflex surface and views of the Pitons. Tamarind House has been featured in various design publications thanks to a large collection of antique West Indian furniture. The enormous living room stretches from the graceful arched doorway to the terrace, and features two seven-foot settees and a large travertine coffee table. The dining table seats eight guests, and the wild breadfruit trestle table can be used for larger parties. The main house has two bedrooms that face the sea and mountains. The master suite has a king bed, and the second suite has a queen bed. The third bedroom in the main house is suitable for children under 12, and has a double bed, a single bed, and an ensuite bathroom. The Cottage suite has three stone archways, high ceilings, and long white curtains that billow at each doorway. There are two large seven-foot couches with blue and white cushions, a large coffee table, and antique tables beside the red cedar, four-poster king bed. A collection of paintings by St. Kitts artist Kate Spencer are on display, and a dressing area with a chest of drawers, hanging cupboard, and shelves leads into the marble-tiled bathroom with a shower. The Cottage also has its own kitchen and terrace with a dining table and chairs. The main house can be rented with or without the cottage. Tamarind House has a lovely, tranquil location near Soufriere, an island hot spot with several restaurants, a supermarket, and more. Nature lovers will love exploring the Diamond Botanical Gardens, Toraille Waterfall, and Grand Piton Mountains on the opposite side Soufriere. 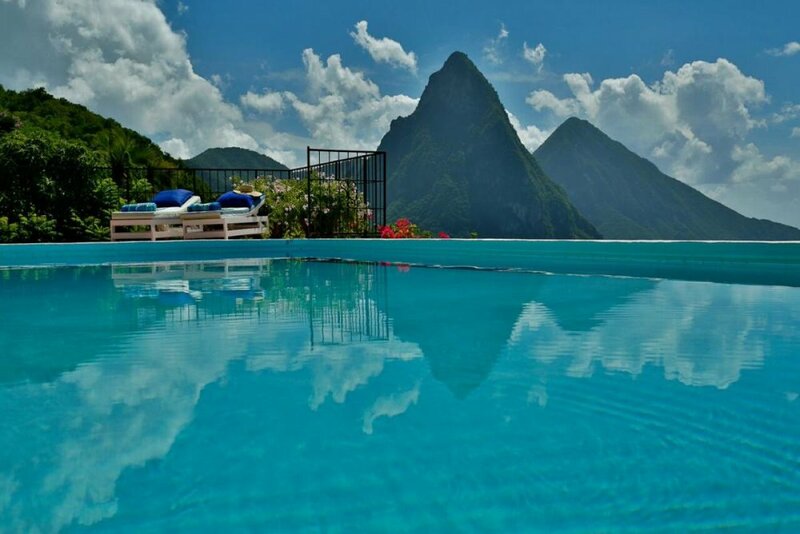 pool size 35 ft. x 15 ft., Pool edge is open on one side to give uninterrupted views of the Pitons. A driver will meet guests outside of custom's area and drive them to the villa (extra charge). If guests prearrange for a rent car, it will be delivered to the villa. Access road is rough and rental of 4 wheel drive vehicle recommended. Special rates apply during Christmas/New Years - please call and inquire. – can sleep additional persons at an additional cost. My husband and I have gone to several islands and we decided to try something new. We decided to stay at the Tamarind House in St. Lucia and it was the most amazing vacation we have had. The house is absolutely amazing - we felt like we were in a castle. The staff was INCREDIBLE. Chef Basil came two evenings to make dinner and it was amazing. I felt like I was in a five-star restaurant. The views of the home were breathtaking. The beach is a two-minute drive down the street, and there is a beautiful section where my husband found the best snorkeling he has done in some time. I wouldn’t hesitate to recommend this location for a vacation destination. The only downside to it all is that we had to leave. Everything went as expected while booking our trip. Details were provided, and we also like the ability to track everything on My Trip. WhereToStay makes it easy to keep it all together. Beautiful Villa With Amazing View! Our family had a wonderful stay at Tamarind House. The villa itself is beautiful, and the view is stunning. The surrounding gardens were amazing. We were warmly welcomed and taken care of by everyone we met at the house. The food was delicious and our family particularly enjoyed the homemade ice cream- not to mention the fresh fish! This was truly one of the loveliest villas that we have rented. There is no shortage of interesting things to do and see in the area, all within easy driving distance: hiking Gros Piton, Tet Paul Trail, Edmund Forest Reserve, sailing, snorkeling, ziplining, great beaches, and a volcano visit. Our only regret is that we didn’t have more time. We hope to return someday soon! We have been renting villas through Andrew for 7 years and he has always guided us in the right direction. He answers all of our questions and provides us with the information we need to help us plan a great holiday. Tamarind House exceeded our expectations! Every aspect of our vacation was more than top-notch, and it is now #1 on our list! We loved Tamarind House and all that came with it. It was the most beautiful house, property, and scenery we have ever seen or stayed at, and it is now our favorite! 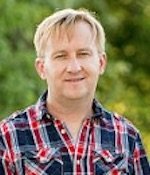 Our experience working with Andrew and WhereToStay.com was great! The house is magical with its open-air living space, large terraces, private pool and tennis court, and excellent amenities. The only thing better than the house itself was the wonderful staff who ensured that we were well-fed with island delicacies, who handled grocery shopping for us so we could relax, and who always offer a friendly smile or laugh. We miss Tamarind House already and are plotting for our next trip to stay there! Thank you! Andrew was fantastic—he promptly replied to all emails and questions; he was very knowledgeable about the house, staff, and the island; and he made sure that everything (e.g., groceries) was taken care of well ahead of time so that we could simply kick back and relax during our stay. Thanks Andrew!